Synthetic Food Grade Gear Lube H-1 is a synthetic blend, extreme pressure, anti-wear gear lube designed for food, feed and pharmaceutical processing and packaging equipment subjected to high loads and high moisture. 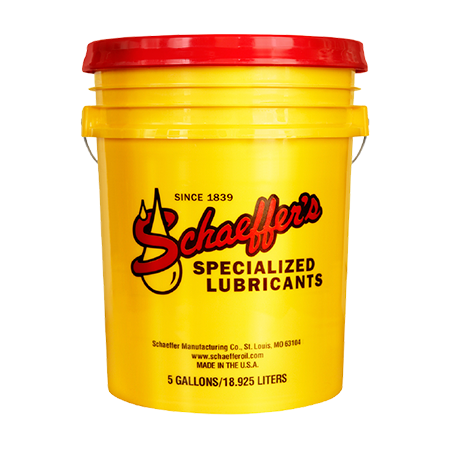 Made with the highest quality, highly refined, severely hydro-finished and purified non-toxic technical white polyalphaolefin (PAO) synthetic base fluids and technical white and U.S.P. grade paraffinic white oils available. Blended into this gear lube is a unique combination of USDA and FDA acceptable preservatives, which allows the gear lube to effectively control and inhibit the growth of bacteria, yeast and molds that may come into contact during use. Synthetic Food Grade Gear Lube H-1 can be used in all types of enclosed gear, chain guide, chain and conveyor applications where there is a chance of incidental contact with food, foodstuffs, drinking water, potable water or ground water may occur. Synthetic Food Grade Gear Lube H-1 meets USDA 1998 H-1 guidelines and is NSF registered. Compatible with all types of seals and coatings.